For Erin Balfour, a mum of two children who both have Neurological conditions, attending events such as weddings can be a huge challenge. If you, or any of your guests, have any hidden disabilities, here are some things for you to consider. As a mum of two children who both have what’s known as ‘hidden disabilities’, attending even family gatherings, never mind weddings, is a huge challenge. My husband and I usually spend the whole time anticipating or soothing their sensory overloads and missing the event, or sometimes if it’s all too much we simply have to leave early. What is a hidden disability, you might be asking, and why would that happen? We’re all familiar with disabilities where equipment such as a wheelchair or hearing aids makes it clear that someone needs additional support, but what about when there are no obvious pointers like these to suggest that someone might be struggling? Neurological conditions like autism spectrum disorders, ADHD, sensory processing disorders, and a whole host of ‘syndromes without a name’, don’t always come with support aids (although lots do). Many of them come with ‘invisible’ characteristics such as being overwhelmed by noises, smells, and lights. This can be really challenging and actually impossible to cope with in a noisy, busy, ‘neurotypical’ world. We are beginning to accommodate the needs of those with these disabilities – we have quiet hours in shops, and autism-friendly performances in theatres and cinemas where the house lights aren’t totally off and the volume is lower – but we still have a long way to go. Now a wedding day, with its hustle and bustle, and a high likelihood of having extended periods of waiting and milling about, can be extremely difficult for those with the type of disability described above, and for their carers (especially if we’re talking about children). A very common characteristic is the need for a clear and rigid routine with no deviation from what’s been decided. The consequence of this not happening usually leads to what’s known as a meltdown – and no this is not a tantrum, but rather the end result of building pressure inside a person because they’re unable to process or cope any longer with the unexpected and the overwhelming. It can cause them actual physical pain. Imagine you’re in a room with twenty televisions on, ten radios, five people asking you questions, lights flashing, perfumes being sprayed, and you can’t distinguish between any of them, nor filter them out. You would want to collapse and scream! A crude analogy, perhaps, but it goes a little way to explain exactly how overwhelming things can become for those with sensory processing difficulties. The good news is that there are measures you can take to smooth the way as much as possible on a busy wedding day so that everyone has the best shot at enjoying themselves. It’s all about anticipating needs and accommodating them where you can. Here are a few things you can do to make it easier for neurodiverse guests and those with complex needs to attend your wedding. ♥ Provide your guest with the order of the day in advance so that they know what will be happening where and when. This could include the seating plans, the order of service, the menu, and even itinerary information from the planner. If there’s nothing on the menu that they can cope with, consider asking them what they would like and asking the venue to accommodate this. If the caterers know in good time, there’s no reason why this can’t happen. Remember, some may have a carer with them who isn’t their ‘plus one’, so make sure there are enough seats and meals! ♥ Using the web to do a little research on the type of disability your guest has is invaluable. A school mum friend of mine did some reading around autism so that she could advise her daughter on what my son would need and also what he would find unhelpful. That totally touched my heart, and has really helped him. A little knowledge goes a heck of long way. You could also just ask your guest directly what things they might find difficult so that you can either think of an alternative or understand why they might not be able to be present during certain parts of the day. ♥ Help guests to research the venue. If it’s a church, maybe arrange to go on a few short visits with them to get to know the place. Churches, especially older ones, might have funny acoustics, so it’s best to know that in advance so they know to definitely pack the noise-cancelling ear defenders! In fact, with any venue it’s a good idea for them to get to know where everything is and familiarise themselves on a more relaxed day with no pressure. Does it have adequate changing facilities if they have continence issues? A place for wheelchairs and other big equipment? Also has the venue got WIFI so they can access their calming apps and familiar programmes on a tablet? If not, consider getting a portable WIFI hub from your phone network provider. Speak to the manager in advance to request a quiet area for in case things get too much on the day. A place your guest can go to come down from overwhelm and to reset in their own time before heading back into things. This will be their absolute lifeline. As a mum of two children who both have what’s known as ‘hidden disabilities’, attending even family gatherings, never mind weddings, is a huge challenge. My husband and I usually spend the whole time anticipating or soothing their sensory overloads and missing the event, or sometimes if it's all too much we simply have to leave early. We’ve covered ten questions to ask your wedding photographer and videographer, and today we’re chatting to stationery designer Nikki from Knots and Kisses to find out the things you should ask anyone you’d like to book to design the paper pretties for your wedding. Other than your photographer and venue, choosing who to work with to create your wedding invitations is probably one of the first things you’ll need to look at when planning your wedding. Your invitations are that initial glimpse for your guest’s as to the look of your day so for many it’s really important to get right. I’ve been working as stationer now for eight years and chat to other stationers in the wedding industry on a regular basis and there are a few basic questions you could ask us before booking which would make ordering your stationery so much easier and less stressful! 1. Can I get an idea of the style of your existing work? Whatever wedding service you are booking, it is essential that you ask to see samples of previous work so you can gauge their style and what they do best before you go any further. Make sure their style already aligns with any ideas or Pinterest board you might have. Don’t assume a stationer can do any style, especially if you are looking for a bespoke design and NEVER ask them to copy something you have seen elsewhere. Most stationery designers will work best if they are creating the style of work they love and you will get the best out of your stationery and invitations this way as well. If you are in the early stages of wedding planning and are starting to look at the suppliers you would love to work with then pop them an email as soon as you can. Its important to check what their lead times are and how far in advance you should book them. Lead times will vary depending on if they print in-house or outsource it, and if you want something bespoke designed for you that will take longer too. 3. What are your turnaround times? Again this is something which it is great to find out as soon as you can to avoid disappointment. Many stationers outsource their printing so it’s not just a case of ‘pressing print’ and bingo 24 hours later you have invitations. It takes time to go through a proper proofing process to make sure you are 100% sure that everything is exactly how you want it. Then there is the setting up of print files, the printing itself and the hand finishing and packing. Asking this question in advance means you won’t be thinking you have plenty of time to order and then be frustrated. 4. Can I change the colour of an existing design? Most stationers will offer some sort of service where they will change the colours of an existing design for you at very little extra cost. It can be a really good idea to go down this route if the cost of having a fully bespoke option is outside of your budget, so worth an ask rather than dismissing the stationer immediately because they don’t have exactly your colour scheme in their standard collections. 5. When should I send out my wedding invitations? While when you send your wedding invitations out is entirely up to you, most stationers will have experience on the ideal time and can advise on when is best based on the type of wedding you are having. Use their experience and you’ll find the whole process much less stressful! We've covered ten questions to ask your wedding photographer and videographer, and today we're chatting to stationery designer Nikki from Knots and Kisses to find out the things you should ask anyone you'd like to book to design the paper pretties for your wedding. Other than your photographer and venue, choosing who to work with to create your wedding invitations is probably one of the first things you’ll need to look at when planning your wedding. Your invitations are that initial glimpse for your guest’s as to the look of your day so for many it’s really important to get right. Wedding planning may be stressful, but you should be able to rely on your chosen suppliers and wedding professionals. Asking the right questions will help you work out which suppliers are best for you. 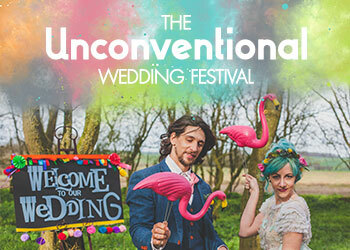 In this new series we’ll be talking you through the kind of things you might want to ask a potential vendor before you book. First up, wedding photographers. Sophie Elliott is both a bride-to-be and wedding photographer so she’s the perfect person to shed some light. Choosing your perfect photographer can be a long and difficult process. As a bride-to-be and wedding photographer, I know this only too well. Before you book your photographer, take the time to sit down with them and ask them these questions either in person or via email. You don’t want to find out on the day or after the wedding that they weren’t right for you. 1. How far in advance should I book you? In general, you should start looking at potential photographers a year or more in advance. 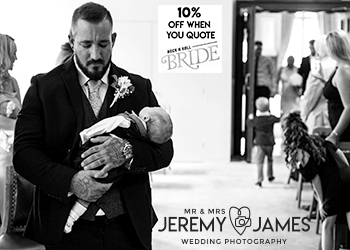 Many photographers, however, will accept last-minute bookings and may even offer a discount. Peak wedding season in the UK is May to September, and most photographers will get booked up very early on, but if you’re having a mid-week wedding or winter wedding you may be able to book just a few months beforehand. Make sure to ask your photographer about their availability, and ask them to pencil you in and inform you if anyone else inquires about your date. There are several styles of wedding photography, from documentary and reportage to fine art and high-key, so it’s definitely worth researching which style you prefer before you book your photographer. Would you rather have informal, candid photographs or lots of posed pictures? The style of your photographer will massively impact the end result. Take a look at previous examples of their work before you decide to book, to ensure that they are shooting in the style you desire. 3. How will you interact with us on the day? Similar to a photographer’s photographic style, they will also have a style of shooting. Some photographers prefer to stay out of the way and capture images from a distance, only stepping in to pose their subjects, while others will be heavily involved in the action. Do you want someone who will be by your side all day long, or someone you will barely notice? There are advantages and disadvantages to both, so it’s entirely up to you what you would prefer. The brand of camera doesn’t matter; nor does the amount of lenses. What does matter is how prepared they are. A good wedding photographer should have some form of external flash, such as a flashgun or off-camera light. It’s also worth asking whether their camera is full frame or cropped sensor. A full-frame camera is preferable as it will impact the amount of detail they can capture in a photograph and how well the camera will perform in low lighting. 5. What does your package include? This is an important question, because while some photographers will include everything in their package, others will have extras available as add-ons. Check whether you will have to pay extra for travel, how they will deliver their photographs (USB, CD, or download? ), how many hours they will be at your wedding for, and if a pre-wedding engagement shoot is included or not. You will want to make sure you are clear on what is and isn’t included, to avoid spending extra money later on. As a past a present mother of the bride, I have noticed that there are a lot of negative stereotypes around us. The assumption that all MOBs are overbearing, “mumzillas” who are just out of touch and “don’t get it” is not only hurtful, but incorrect. As a mother I only ever want what’s best for my daughters, so I thought I’d try to explain why some of us might act the way they do when it comes to their weddings! Traditionally mothers of the bride would have done the lion’s share of the wedding planning. Way back in 1982 my mother did everything from deciding on the venue, the catering, and the guests (who were mostly relatives and their friends). They also paid for everything. I didn’t even choose a new dress as I wanted to wear the one she wore in the 50s. My one contribution was managing to squeeze into it on the day! I simply turned up a few days before, did everything that was expected and left Mum to clear up after the event. Not an ideal way to do things perhaps but for me it was almost totally stress-free! Today most couples live together before they marry and they have their own views and want to be in charge of the event from start to finish. 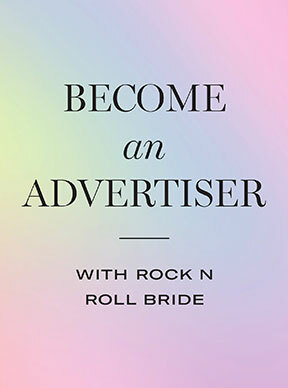 Rock n Roll Bride champions this element of weddings and the phrase ‘your day, your way’ has long been the mantra of the age. You can see that this can cause a ‘perfect storm’ scenario – especially if the parents are paying. Of course you want to have the wedding you want, but most likely your parents still want some input too. Any relationship needs to put communication and compromise to the forefront, and this situation is no different. So rather than stamping your feet or assuming your mother is just being difficult or “doesn’t get it” why not think of ways you can both win?